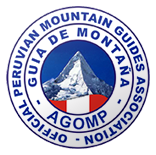 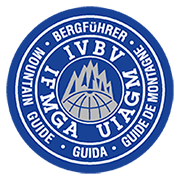 Perúvian UIAGM certified Mountain guide, He was born and grew up in the Peruvian Andes, graduated of “Centro De Estudios de Alta Montaña” (CEAM), and He is member in “Asociacion De Guias de Montaña del Peru” ( AGMP) and by the Union International des Associations de Guides de Montagnes (UIAGM). 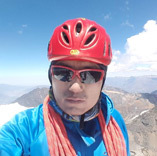 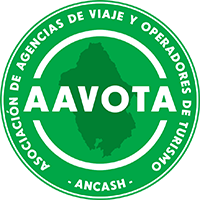 He worked for many adventure travel companies, He has lot of experiences climbing in Cordillera Blanca, Huayhuash and Bolivia. 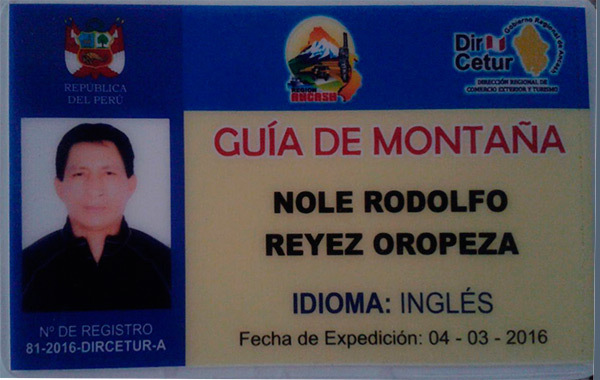 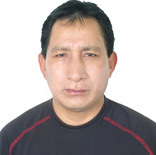 He speaks Quechua, Spanish and foreign language English.